ROCHESTER, N.Y. -- U.S. Attorney James P. Kennedy, Jr. announced today that Luis Garcia-Canales, 29, of Rochester, NY, pleaded guilty to transfer of a machinegun before U.S. District Judge David G. Larimer. The charge carries a maximum penalty of 10 years in prison and a $250,000 fine. Assistant U.S. Attorney Katelyn Hartford, who is handling the case, stated that on July 26, 2018, the defendant sold three “auto-sear” devices to an undercover ATF Special Agent in exchange for $900. The “auto-sear” devices are parts designed and intended solely and exclusively for use in converting a weapon into a machinegun. At the time of the transaction, Garcia-Canales explained to the undercover ATF Special Agent that each “auto-sear” device would make a Glock 9mm pistol function fully automatic, and he explained how to install the devices. The plea is the result of an investigation by the Bureau of Alcohol, Tobacco, Firearms, and Explosives, under the direction of Special Agent-in-Charge Ashan Benedict, New York Field Division, and the Rochester Police Department’s Violent Crimes Task Force, under the direction of Chief Mark Simmons. 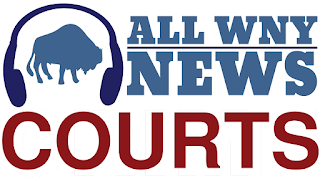 Sentencing is scheduled for May 16, 2019 at 3:00 p.m. before Judge Larimer.